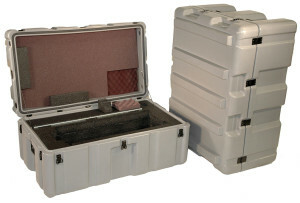 Ideal for large, heavy and delicate items that must be shipped. This durable construction features impact resistant walls and fully recessed handles, latches and hinges. Applications include military equipment, broadcast TV cameras & lenses.